Published April 1, 2014, Los Angeles Daily Journal – This week, General Motors CEO Mary Barra will appear before an angry panel of examiners in the House and the Senate, where she has been summoned to testify about how and why the Detroit automaker concealed known safety defects in more than 1 million vehicles for over a decade. The hearings signify a remarkable change of events in the leader’s short tenure. Just two months ago, Barra was christened as the first female to ever assume to role of chief executive of a major auto manufacturer. For a male dominated industry, the move appeared to be bold, innovative and in many ways, brilliant. At the time, all appeared to be going so right for the automaker: The government had sold off the last of its shares in GM stock, public support for the company was beginning to return, and the company was back to writing financial statements in black ink. The “new GM” that emerged from the 2009 bankruptcy promised to be all things different. 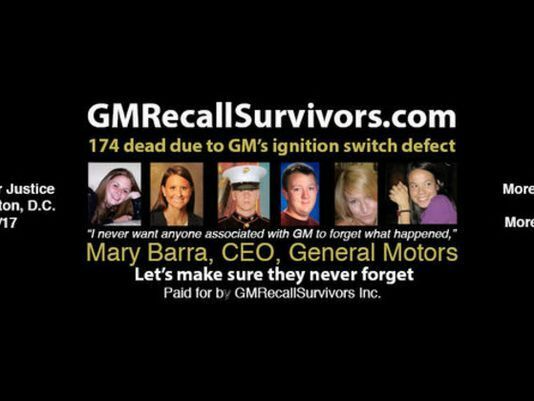 Now, Barra is at the helm of a company that is in an unmitigated free-fall: GM has admitted that it knowingly concealed a defect with its vehicles’ ignition switch that caused consumers to die. While the public is brewing over the company’s level of deception, what is most upsetting is the lack of intellectual honesty the company has displayed in managing the crisis. In an attempt to quell the outrage, GM is making statements like “[t]oday’s GM is committed to doing business differently and better,” inferring that it is voluntarily issuing the recall and rectifying the problem. The truth, however, is that the only reason that GM came clean is because a pair of its engineers testified in June 2013 depositions about the defect. One engineer testified that GM had known of the vehicle defect since the mid-2000s and made a “business decision” to not fix it; the other read more than 80 customer complaints into the record that were filed with GM beginning in 2005 about the safety defect. The depositions were in a wrongful death lawsuit brought by the estate of pediatric nurse Brooke Melton, who was killed on her 29th birthday in a Chevy Cobalt, and were the beginning of a cascade of information about how the company had been concealing the safety defect for over a decade. GM settled the lawsuit on Sept. 13, 2013, and launched what has been reported as its eighth internal study of the ignition switch. While GM knew in the middle of 2013 that it was exposed, it would wait another eight months, until Feb. 13, 2014, to issue a recall. Federal law requires all manufacturers issue a report to the National Highway Traffic Safety Administration (NHTSA) within five days of learning of the defect, or face a fine of up to $35 million. When it issued the recall, GM stated that was “working to address the issue as quickly as [it] can.” However, at the time of the recall GM knew that it was only recalling half of the vehicles that had the deadly switch. The Feb. 13 recall was only for the Chevrolet Cobalt and Pontiac G5; it inexplicably did not include the Chevrolet HHR, the Pontiac Solstice or the Saturn Ion and Sky, all of which used the same lethal part. Years before, GM had issued a service bulletin to dealers informing them that all of the aforementioned vehicles had a defective ignition switch. It wasn’t until the public began questioning why GM was not recalling the other vehicles that used the same part that the second recall was issued, enlarging the U.S. recall to 1.4 million. At the time of making the February recalls, GM stated in a report to NHTSA that it learned of the defect “in 2004.” Now, it turns out, this is untrue. On March 12, GM filed another report with NHTSA admitting that the company actually knew of the in 2001 — three years earlier than it first maintained, and 13 years before it took any action to protect the public. What’s even more incredulous, during the 13-year time period the company told scores of consumers who complained about the issue that it didn’t have enough evidence of a defect. According to an in-depth report by the New York Times, when surviving family members contacted the company about the problem, they were either told that they didn’t have a case or were met with unreturned phone calls. In one instance, GM told a family of an accident victim that it would come after the family for legal fees if the family’s lawsuit wasn’t dismissed. And it’s getting worse. Friday, nearly six weeks after the first recall, GM issued a third ignition switch recall, expanding the U.S. recall to 2.2 million vehicles. That same day, GM issued a “stop order” to its dealers to stop selling Chevrolet Cruze vehicles equipped with the 1.4-liter turbo engine. The Cruze is GM’s number one selling U.S. car. While stop orders are not terribly uncommon, they are virtually always accompanied by a reason for the directive; this order was remarkable in that it gave no reason, leading to questions about what else the company is hiding. Now, lawyers in a Texas class action have filed an “emergency motion,” asking the judge to order GM to inform owners of the recalled cars that they should immediately park them. The so called “park it now” motion will be heard Friday of this week, and if granted will potentially sideline more than 2 million consumers. The motion should be taken very seriously. GM has admitted that its cars are dangerous, and states on its website that it is “very important” that consumers remove all items from their key ring when driving the vehicles. Given that most consumers will not heed the warning, the motion may have merit. GM admits that its vehicles are responsible for 13 deaths, and that its legal department opened a file on the first one in 2005. Yet, even GM’s death count is wrong, as it is only counting “front impact” crashes in the tally. If a recalled vehicle caused a consumer to die because it rolled over, or was in a side impact, GM chooses to not count it. Case in point: Brooke Melton, the pediatric nurse who started it all, is not included in GM’s death count because her Cobalt killed her in a side impact crash. GM’s conduct should be seen for what it is: A company that went to great lengths to hide a lethal defect in millions of cars, all in pursuit of financial gain. The company claims that “customer safety is [its] first order of business,” and that it is “providing full and complete responses to NHTSA.” But the statements are little more than PR wizardry. Until it got caught, GM was perfectly content to allow consumers to die; and now that its deceit has been exposed, GM is only telling NHTSA what it thinks it has to. With a firestorm of litigation across the nation, a criminal investigation underway, and relentless congressional interrogation into the bowels of the company, all that GM knows — and is not telling — will be exposed. This, history will show, will be GM’s day of reckoning.